Accomplished inventor Dean Kamen founded FIRST® (For Inspiration and Recognition of Science and Technology) in 1989 to inspire an appreciation of science and technology in young people. Based in Manchester, N.H., FIRST designs accessible, innovative programs to build self-confidence, knowledge, and life skills while motivating young people to pursue opportunities in science, technology, and engineering. 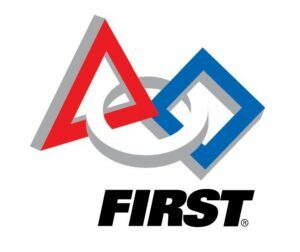 With support from over 200 of the Fortune 500 companies and more than $25 million in college scholarships, the not-for-profit organization hosts the FIRST® Robotics Competition for students in Grades 9-12. Students work with professionals across a wide range of disciplines including hardware and software engineering, strategy, design, and business to build a robot and compete in a game following rules established each year by FIRST. Each team has 6.5 weeks to design, build and tests their robots before they head out to competitions regionally and if they succeed, globally. The short timeframe and the intense teamwork required to get a robot operational is an incredible experience for students – it imitates many of the aspects of real life career experiences.